FOR RENT - GORGEOUS 3 bed/2bath condo on second floor with balcony and convenient parking near front door. Backing onto a private path and single family homes, this is an ideal location for privacy and peace of mind! Beautifully updated and appointed unit...exceptionally well-maintained and sparkling clean! STUNNING custom kitchen with white trendy European cabinetry, custom hardware, lovely backsplash and updated track lighting. In-unit laundry, one parking spot, plenty of storage and private balcony. AVAILABLE JUNE 1ST, 2016. Pet-free, smoke-free unit - references required with 1st & last month's rent. $1350 per month plus hydro. 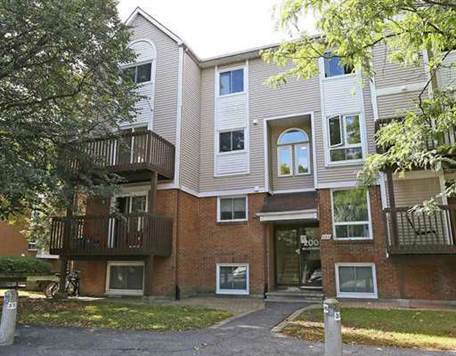 GREAT location close to public transit, great shopping, 417 and everything in between. Email today to book your showing at Diana@dianamayer.com or call Diana at 613-852-3243. Located in the heart of Kanata!